« Spring / Summer Events 2019. 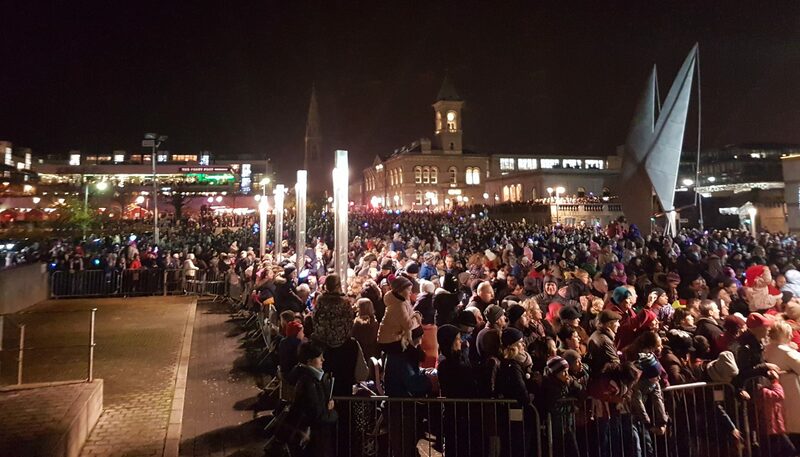 This Saturday November 24th from 4pm, at the Harbour Plaza, Dún Laoghaire will be lighting up with festive sparkle to celebrate the opening ceremony of the Dún Laoghaire Christmas Festival from November 24th 2018 to January 2nd 2019. The festival features the largest ever display of Christmas lights in Dún Laoghaire, the iconic Ferris Wheel from the movie ‘Grease’, a Vintage Funfair, Santa’s Post Box and the very popular Christmas market with a traditional and nostalgic theme, bringing the magic of Christmas and a Winter Wonderland for the festive season. Due to public demand Santa’s arrival in Dún Laoghaire will now take place in the Harbour Plaza, rather than the previously advertised location of Dún Laoghaire Shopping Centre. The festive family fun starts down at the Harbour Plaza from 4pm with a DJ, a seasonal music set from Upbeat Generation at 4.30pm, counting down to Santa’s arrival in town at 5.15pm with Christmas carols from the Dún Laoghaire School of Music Choir followed by the official switching on of the best lighting display Dún Laoghaire town has ever seen.